Well, here it is, the BIG Birds of Prey news promised earlier today. And it turns out the rumor was mostly accurate, although some key details were left or may have been off. The Wrap reports Margot Robbie's all-girl gang will consist of Harley Quinn, the Huntress, Dinah Lance aka Black Canary, the Cassandra Cain version of Batgirl, and Gotham City detective Renee Montoya. So let's take stock for a sec: today's rumor had all of these characters except for Montoya, and honestly she's the biggest surprise by far. Montoya is a GCPD detective who has been very active in the Bat-books. She's also openly gay, making her the first ever in the DCEU. 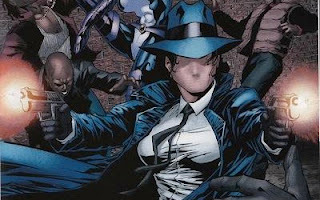 Montoya has no powers, but her keen intuitive skill helped her take on the mantle of The Question, an investigative hero in DC Comics. The addition of Cassandra Cain is also surprising. She's best known as "the mute Batgirl", although I hesitate to say she was a very popular character under the mask. When people talk Batgirl they still tend to be referring to the Barbara Gordon version of the character. I'll be curious to see if they keep Cain mute. 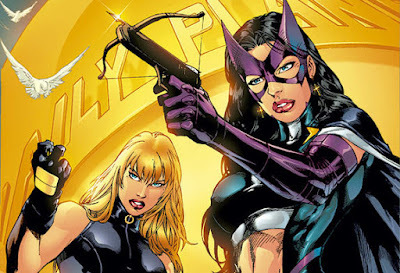 Black Canary aka Dinah Laurel Lance and Huntress aka Helena Bertinelli are to be expected. Both are mainstays of the Birds of Prey team and have worked well as part of CW's Arrowverse for years. As for the villain, the story promises it to be a "Batman comics villain who has never before appeared on the big screen." That could still be Cassandra's father, David Cain, as was previously suggested, but that seems too small for a film of this scope. Shooting begins in January with Cathy Yan behind the camera. Look out for more details in the coming days.